Most women are absolutely horrified at the first sign of cellulite. We all want smooth dimple free skin that looks great in those shorts or that dress, yet 80-90% of women get it. Only around 10% of men get cellulite mainly because the bands of collagen fibers connecting to the skin in men run vertically as opposed to in women where they run in a diamond criss-cross type pattern. Cellulite is the result of the collagen fibers shortening and little fat pockets forming due to the fat under the skin. As you pick up weight, or during times of water retention, and in some cases, a build-up of toxins in your body, can all make it look worse. While there is no definite cause for cellulite, research shows that it may be due to genetics, hormonal changes, aging, eating a diet high in processed foods that lack nutrients, lack of exercise, obesity, and even stress. Even teenagers can get cellulite and it doesn’t matter whether you are considered thin or overweight, cellulite can still develop (1). One of the most effective remedies is to use apple cider vinegar for cellulite. It might not be a taste that everyone enjoys but there are ways to make it taste better or to use it topically. 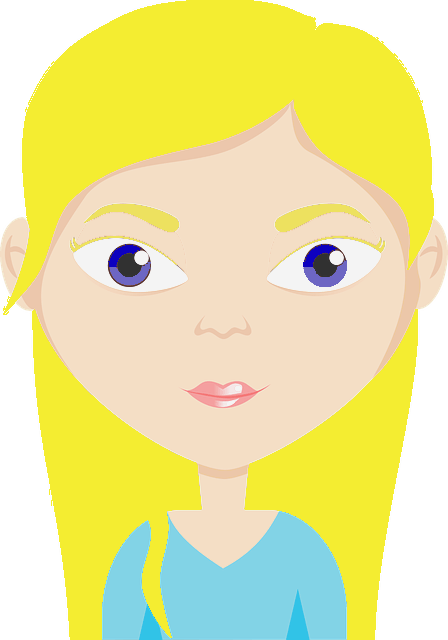 How Does Apple Cider Vinegar Help for Cellulite? Weight loss: Apple cider vinegar contains acetic acid which causes a reduction in fatty tissue in the body without even having to change your diet or needing to exercise. Keeps blood sugar levels stable: When your blood sugar levels spike, so does your insulin which is a hormone which stabilizes your blood sugar. This can cause hormone imbalances and inflammation, neither of which are good for cellulite. Apple cider vinegar helps to keep your blood sugar levels from spiking (2). Diuretic: Apple cider vinegar can help to get rid of water retention which can reduce the appearance of cellulite and help your body to get rid of toxins. Nutrients: Apple cider vinegar contains some minerals like calcium, magnesium, potassium, and manganese that can improve your health. The amounts may be small, but as an addition to a healthy diet they can be very beneficial (3). 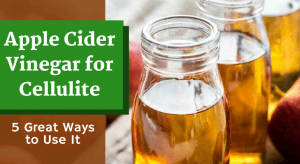 Improves digestion: Apple cider vinegar is a good prebiotic meaning it feeds the good bacteria in your gut so that your body is able to digest food properly and absorb all the nutrients from the food you eat for overall health. It also protects against the bad bacteria. This will keep your cellulite in check and help with bloating. Astringent properties: Apple cider vinegar has astringent properties which help to firm the skin. There are various ways that you can use apple cider vinegar to reduce the appearance of cellulite. Unfortunately, once cellulite has formed, there is no way to completely get rid of it. Some cosmetic treatments can make it go away, but at most the effect lasts for two years. What you can do is to reduce the appearance of cellulite to the point where it’s barely noticeable. Add a teaspoon to a tablespoon of apple cider vinegar to a glass of water and drink this remedy 2-3 times a day. You can also put it into tea. If you don’t like the flavor, you can add a little bit of honey or stevia. Put it in soup or on your salad, you can also add it to dips, marinades, and to many different types of meals. Asian dishes often require some vinegar and if you search for recipes that use apple cider vinegar you will find quite a few delicious and nutritious ones. Just make sure that you keep your sugar intake low as you don’t want to spike your blood sugar levels as some recipes call for a lot of sugar. It may sound strange, but you can use apple cider vinegar to make a massage oil. Simply combine it with a carrier oil like olive oil, coconut oil, grape seed oil, jojoba oil, or safflower oil. You might need to play around with the consistency, but 3 parts of apple cider vinegar to 1 part of oil should work well. If you want to, you can add a few drops of essential oil. Apply it to the affected area and massage yourself in circles or short sweeps upwards towards your heart. You can also do this with a dry brush or gentle loofa. Do it slowly without pushing too hard as you can bruise. Massage the affected area for about 5 minutes. For the best results, leave it on for 5-15 minutes afterward. Add a cup of apple cider vinegar to your bath and soak for 15-20 minutes. Don’t worry about the smell if there is one, it will go away as you dry off. You can add a few drops of essential oil too. Mix equal parts of water and apple cider vinegar. You can also use honey instead of water. Apply this mixture to the affected area and wrap it up in cling wrap. For an even bigger impact wrap a warm towel around the area too. Stay wrapped up for an hour before rinsing it off. Always use raw unfiltered apple cider that contains “the mother”. This means that they haven’t filtered out some of the beneficial properties. Apple cider vinegar is highly acidic. Don’t drink it or use it on your skin undiluted as it can cause burns. Don’t drink more than two tablespoons of apple cider vinegar a day for a long period of time. Despite the fact that it contains a little bit of potassium, because of its diuretic effects it can cause you to become potassium deficient. If you want to drink it every day, stick to a maximum of two tablespoons a day. If you have type 1 diabetes, speak to your doctor before using large amounts of apple cider vinegar. It delays gastric emptying which may make it harder for you to time your insulin injections correctly. Using apple cider vinegar for cellulite, like any other remedy, can take time. The key to these remedies being effective is consistent use and patience. Cut out processed foods and fill up whole foods like fruit, vegetables, whole grains, healthy fats like omega 3 found in salmon, walnuts, and flax seeds, and reducing your consumption of meat and dairy. This will help to balance your hormones and to get to and maintain a healthy weight. Drink 6-8 glasses of water and/or cups of herbal tea. Exercise regularly doing both cardio exercises like running and strength exercises like squats and lunges. HIIT (High-Intensity Interval Training) 3 times a week is also good. For example, do as many squats as you can in a minute then rest for 30-60 seconds, then do the next exercise. Try 4 exercises. Do these 4 exercises again. Rest 2 minutes between rounds. If you don’t like using apple cider vinegar, try these natural remedies for cellulite. Please let us know if you have seen an improvement in the appearance of your cellulite and which is your favorite way to use apple cider vinegar.